Our San Diego office opened four years ago and has ranked in the top 5 Best Places To Work for the last three years. Thank you to our San Diego office for all your hard work and participation in making this success possible. 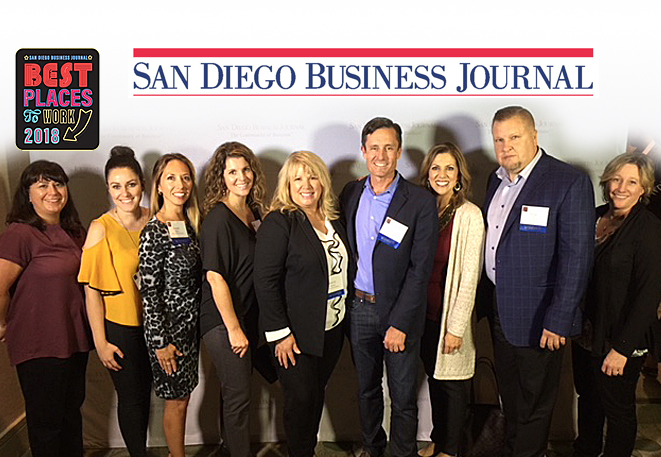 The San Diego Business Journal’s Best Places to Work Awards recognize outstanding companies whose benefits, policies and practices are among the best in San Diego. One hundred companies were selected as the 2018 Best Places To Work.